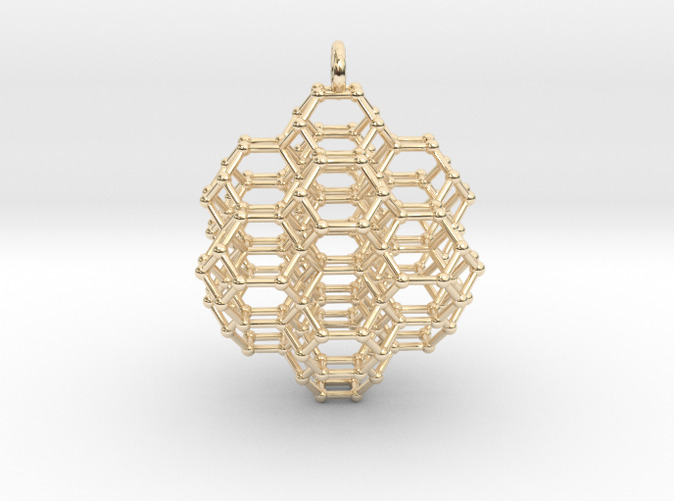 I love this new geometric 'honeycomb' made of 15 Archimedean solids. The central form is surrounded by 14 copies of itself, tiling space without rotation. There are 7 identical axes. When it is rotated there are multiple angles from which it assumes various 2 dimensional patterns. Rotate the 3d model to observe these. 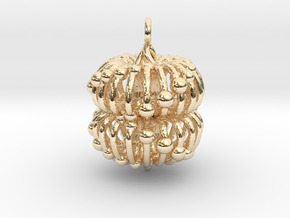 At this size it is a beautiful and intriguing structure reminiscent of soap bubbles or bees honeycomb. 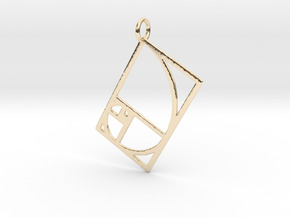 This is a smaller version as a pendant. 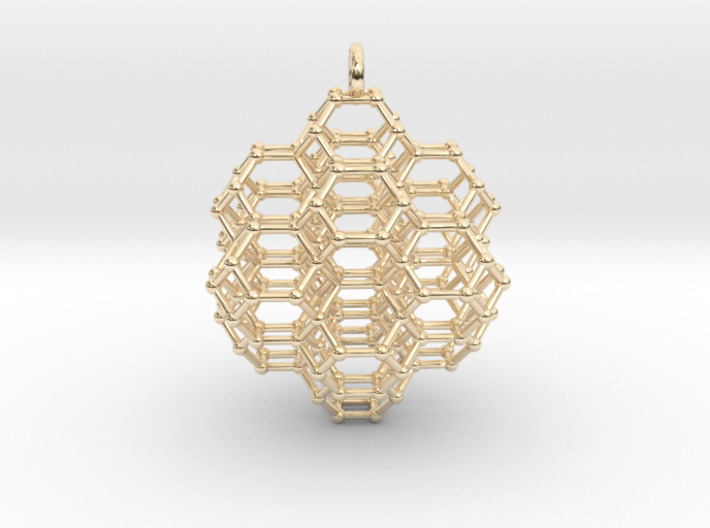 This item is designed by Narada Dan Vantari, creator of www.SacredGeometryWeb.com and author of 'Understanding Sacred Geometry and the Flower of Life - a Higher Dimensional Perspective on an Ancient Wisdom Stream'. Sacred Geometry, is a key to good science, a secret of great art, and a light on the mystical path. It is surprising how few people fully understand this golden thread that is woven through our history. So many geniuses contributed to this ancient wisdom stream that for thousands of years flowed through Egypt, Greece and then Europe. Some of the more famous geniuses that have deepened our understanding of sacred geometry include Pythagorus, Plato, DaVinci, Bruno, Des Cartes , Newton. for after all, there is no geometry separate from the nature of existence itself. and how that connection influences our consciousness. 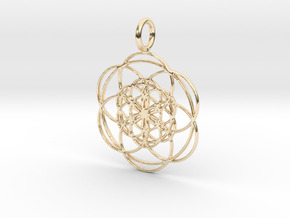 These sacred geometry designs are the way energy naturally flows as it follows the path of least resistance through space and time. They are permutations of the first and simplest forms, seeds of order in the sea of primal chaos. Contemplating them, or wearing them within your energetic field can have subtle but profound effects as it connects you to Source in a new way through geometric resonance. The esoteric tradition says that sacred geometry is the 'language of the angels', and that information can be received through these forms from other realms. Like crystals (that draw their powers from their geometric atomic structure) these geometric patterns can be used to hold affirmations and focus the attention for achieving your intention. Sacred Geometry can help us to connect the dots and see the big picture and find our harmonious place in the Universe. 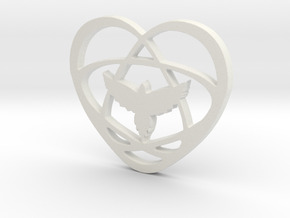 This is a larger version for use as a model or altar piece.